The Scottish Independence Referendum stirred the political consciousness of a disillusioned people. It was supposed to settle the national question once and for all, but that did not happen. 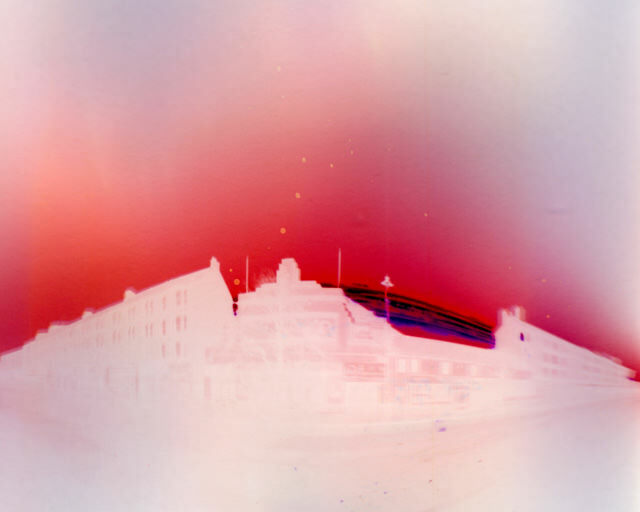 In late December 2014 two hundred pinhole cameras were placed in the 45 most populous cities and towns of Scotland. They were filled with photographic paper and tied high on lampposts, drainpipes and trees facing south. A month or more later the cameras were recovered. Unfixed images burned into the photographic paper were scanned before they faded away. The final prints show sun trails and traces of 45 places.